Adults are often bewildered by the reaction of teens who have lost a family member or close friend. Most adults experience grief as a long journey where they undergo numerous emotional, psychological and physical changes. Through grief work and the passage of time healing takes place. However, with teenagers grief is not so predictable. They experience periods of grief that are interrupted with activity, play and at times they seem totally unaffected by the loss; like it never happened. Most are able to turn their grief on and off like a faucet. Because of their youth, teenagers often feel invincible. They perceive that death is something that happens to older people. Therefore, when a peer, sibling or young person dies, it shatters their assumptive world leaving them feeling fragile and vulnerable. They sometimes regress and behave childlike again for a period of time. A mother once told me that when her 17-year-old son lost his friend in a boating accident, he was so fearful that he would come into her bedroom at night and sleep on the floor holding her hand. Another unique aspect of adolescent grief is that teenagers do not like to stand out. Grief often brings excessive attention and makes the teen feel different from his peers. I have worked with youngsters who do not tell friends, teachers or coaches of their loss. They prefer to keep it to themselves and act as if nothing has happened. When a family member dies, there are changes that take place in the family hierarchy that have a greater impact on the teen than the younger children. If a father dies, the oldest male often takes on a surrogate parent role. He is expected to be a protector of the younger children and of the mother. If the mother dies, the father may lean on the oldest female to take on a major role in maintaining the home and being the emotional caregiver of the family. Well-intentioned parents often lift curfews and responsibilities from grieving teens in the hope of taking pressure off of the youngster. This often creates additional problems because the teen needs structure in times of crisis. Parents must allow adolescents to remain children and live with structure and responsibilities. Adolescent grief is often made more difficult because we live in a death-phobic society where adults usually avoid any discussion of death. There is very little in our schools and society that prepares us for death. Adults try to protect their children by not telling the truth about a family member’s declining health. I have worked with youngsters who did not know that a family member was dying until a week or two before the death. This gives the youngster little time to have the important conversations with the dying family member. In cases of death by suicide or drug abuse, adults often try to protect the youngsters from the painful truth by concealing information. This leaves a lot of unanswered questions, which complicates the grief process. •Education—seek out information to help adolescents understand grief and loss, i.e. Earl Grollman’s book, "Straight Talk About Death for Teenagers." •Challenge feelings of blame and responsibility—A teen who had frequent fights with her parents may feel responsible for the father’s heart attack or the mother’s burst aneurism. Conflicts between parents and adolescents are a normal part of growing up, and such deaths are usually the result of poor health and not tension due to parent and child disputes. •Don’t expect the teen to grieve in a certain way. Let the youngster be your teacher about how he grieves. •Don’t force a youngster into counseling. Follow the philosophy, “if it ain’t broke, don’t fix it." Let the teen know that help is available, if he needs it. However, if a teen is withdrawing or acting out, doing poorly in school, losing interest in activities, abusing drugs, or engaging in self-destructive behavior, family counseling may be warranted. •Seek out schools and community organizations to see if support groups for teens are available. Adolescents often feel less alone if they hear peers going through similar issues. •Encourage the expression of grief through journal writing and art. Making scrapbooks with pictures and mementoes can also be beneficial. •Memorializing the deceased is very important, i.e. wearing a piece of jewelry with the person’s picture, candle lighting ceremonies during the holidays, releasing balloons with messages for the deceased on birthdays and anniversaries. •For parents who have lost a child, avoid saying or doing things that make the deceased child seem favored over the other children. Luciano Sabatini, Ph.D, is the Bereavement Coordinator for St. Brigid and St. Bernard parishes on Long Island. 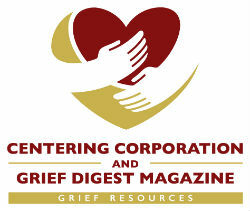 He has been practicing bereavement counseling for 30 years. Most of his work deals with facilitating support groups, private counseling and training caregivers who work with the newly bereaved. He is also an adjunct professor at Hofstra University where he teaches a graduate course, Counseling for Death, Dying and Bereavement. He published a book in 2012, Bereavement Counseling in the School Setting, which was based on his work in several schools with grieving adolescents. His interests include volunteering for non-profits; he is on the executive board of the American Foundation for Suicide prevention.